THE AMOUNT of non-performing loans at Turkish banks is expected to double in the next twelve to eighteen months. This bleak prediction was issued by the credit rating agency, Standard & Poor’s (S&P). The agency noted that by employing a wider definition of problem loans that includes restructured loans, Turkish banks’ NPLs already exceeds 10% of total loans and could move up to 20% over the next year. 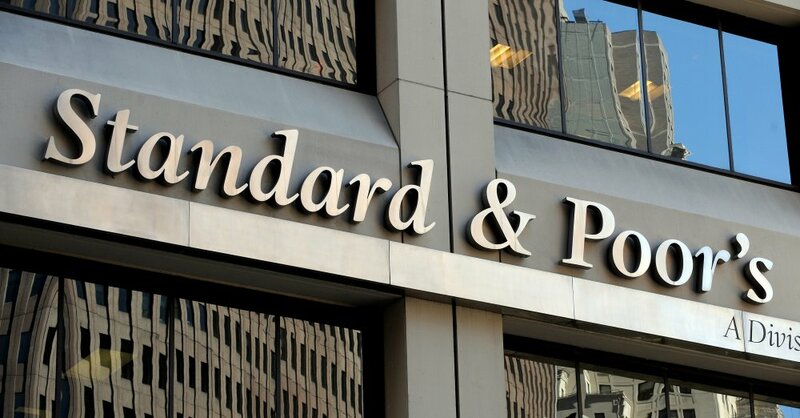 In its report, S&P Global warned about the volume of bad loans on Turkish banks’ books and could approximately double over the next 12-18 months to around 6%, from 3.5 percent as of September 2018. The agency bases its estimations on negative economic slowdown, deleveraging, the continued depreciation of the Turkish Lira and elevated interest rates to start weighing on asset quality. On the other hand, the lenders’ total credit losses will at the same time grow to as much as 2.5% from the recent average of 1.4%, as S&P predicts. S&P based its projections on the Turkish economy contracting in 2019 along with the aftershocks of the 2018 currency crisis that hit domestic demand, before seeing slight growth of 3-4% in 2020. According to the report, Turkish banks’ high reliance on short-term, external debt compared with their peers was key to the assessment of Turkey’s industry risk. This reliance exposes the industry to conditions in the external debt and capital markets. Despite adequate banking regulation and supervision, along with the banks’ ability to adequately price risks, Turkish banks’ strained performance in the next 12-18 months will weaken industry stability. “We will continue to monitor the president’s interference in the central bank and the regulator, which has affected our assessment of Turkey’s institutional framework,” read the report. On the other hand, among the major strengths of the Turkish banking industry, the international agency listed adequate corporate governance and transparency among private banks as well as granular and well-diversified loan books. Looking at perceived major weaknesses, it said the banks’ funding positions were overstretched because of low domestic savings and the high reliance on short-term foreign debt, while there was moderate per capita income in Turkey amid high inflation. On the other hand, Turkey and Argentina may have put their currency crises behind them but more woes await their economies in the coming quarters, according to Moody’s Investors Service. “Declines in the Lira and the Peso, two of this year’s worst performers globally, will translate into sharp economic contractions as growth decelerates across advanced and emerging markets,” Moody’s said in a report. The IMF’s report also indicated that despite strong partner growth and a recovering tourism sector, continued domestic demand strength and higher oil prices are expected to lead to a further widening of the current account deficit this year, with external financing needs remaining large. Reserves remain relatively low, covering only around half of Turkey’s gross external financing needs.